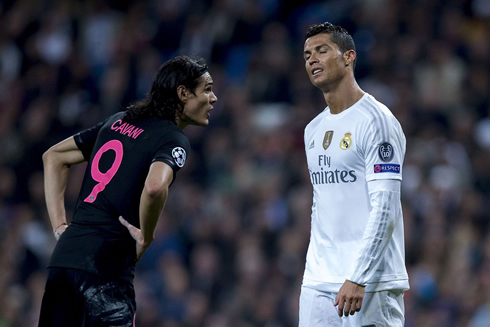 It's all or nothing for Real Madrid, as they visit the Parc des Princes next week to face the French champions PSG. The Merengues travel with a 2-goal lead cushion, but they know they can't drop their concentration levels when they face the likes of Neymar, Cavani and Mbappé. The only thing more inevitable than Paris Saint-Germain yet again not capitalizing on a promising position in a crucial Champions League tie was that Cristiano Ronaldo would be the one to seize the limelight, as Real Madrid moved one step closer to a third consecutive title and fourth in five years. Los Blancos take a 3-1 lead to the Parc des Princes for the second leg of their last-16 tie on Tuesday 6 March and, according to the bookmakers, look set to condemn the Paris side to yet another season of European underachievement. Despite going behind at the Bernabéu to a potentially crucial away goal by Adrien Raboit, Ronaldo brought the tie level from the penalty spot on the stroke of half-time before firing Real Madrid into the lead in the 83rd minute. In the process, he scored his 100th and 101st Champions League goals and became the first man to score a century of goals for a single club (101 in 95 appearances), just one of his many goalscoring records during the Portuguese star's time in Spain. Ronaldo is also this season's leading scorer in the Champions League with 11 goals and his lead looks unassailable — sports books currently have him at the prohibitively short odds-on price of 1-2 to finish at top of the goal scoring ladder. In the first leg at the Bernabéu, the titleholders started strongly and looked solid defensively, but Raboit fired PSG into the lead after 33 minutes, somewhat against the run of play when a cross from Kylian Mbappé was turned into his path. Paris Saint-Germain, who have made a habit of conceding late goals in this competition, will rue the fact that they go into the second leg behind after allowing two avoidable goals towards the end of the game yet again when a tie against a big opponent was there for the taking. For much of the second half they were clearly the better side, but their inability to convert chances kept the door open for the Spanish side, who eventually took advantage of the opportunity. 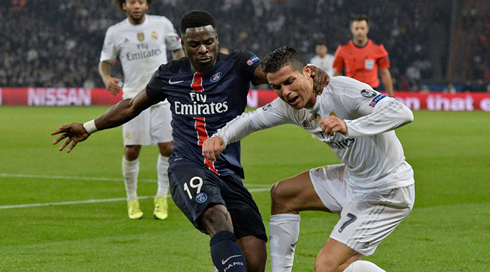 On paper, PSG have enough to overturn the two-goal deficit in the return leg. 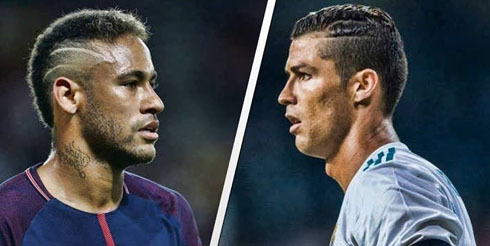 In Neymar, of course, they have a playmaker par excellence, while the midfield pairing of Mbappé and Edinson Cavani has shown it has enough guile and skill to unsettle the Real Madrid defence. But they will need to make the most of the chances that come their way, while at the same time being wary that, in a bid to score early, they don’t leave themselves open on the counter. As has been the case for so many years, it could be Ronaldo that proves the difference for Real Madrid. While the Portuguese star is perhaps no longer at the height of his powers, his performance at the Bernabéu showed yet again why there is no-one to match him when to comes to sheer Champions League nous, and the French side cannot afford to give him any even half-chances. 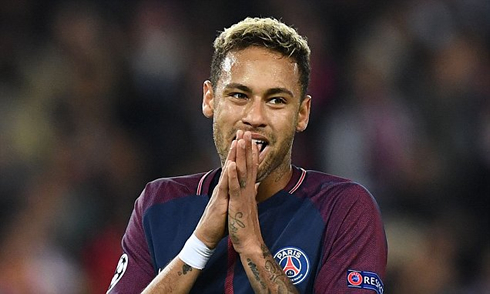 Although PSG are currently favourites to win the second leg at the Parc des Princes with a best price of 7-10 at SkyBet, William Hill, Unibet and 888 (the draw is 19-5 and a Real Madrid win 4-1 with most online sports books), the Spanish titleholder remains favourites to win the tie overall and go through to the next round. You can currently get a best price of only 21-50 on Real Madrid winning the tie at Marathon Bet (PSG are 25-11 at 188Bet), but you may be able to find better value by shopping around at the usual array of UK sites. However, for the punter, this does bode well for an open second leg as PSG need to win by at least two goals in order to go through and so there are some good value bets to be had based on this scenario. For instance, you can get 7-2 at SkyBet on PSG scoring in the first ten minutes, or 15-2 on it leading 2-0 at half-time with Ladbrokes. As they need to score early to remain alive in the tie, these look like good value punts. At the same time, if PSG do score a couple early and force Real Madrid to go on the attack, it could be a goal fest, and so there is a good value bet to be had on the titleholders scoring 4+ goals at 12-1 with Coral. Alternatively, an early goal from Real Madrid would effectively kill the game off early, so they may well seek to do this by going on the attack from the first whistle before sitting back. You can currently get 13-2 of the Spanish side leading after 15 minutes with Ladbrokes and Coral. Both managers have been under constant pressure of late and defeat would undoubtedly shorten the odds of either PSG's Unai Emery or Zinedine Zidane being sacked. José Mourinho is the current favourite to replace Emery at PSG if the Spaniard is forced to move on with BetVictor offering 4-1, while you can get 2-1 at SkyBet on Zidane being fired from the Bernabéu and replaced by Tottenham manager Mauricio Pochettino. Speaking of managers, there are currently some Premier League bosses whose jobs are looking far from secure, so there are also some good value bets to be had here as well. Alan Pardew is the favourite to be the next manager to leave their post at 6-4 with PaddyPower, with Antonio Conte (who some commentators suggest wants to be fired) at 11-4 with Coral. However, the best value bet might be the 33-1 PaddyPower are offering on Rafa Benitez being the next manager to leave, although it’s more likely that he will quit rather than get the sack. His stand-off with Newcastle United owner Mike Ashley looks no closer to being resolved and the Spaniard continues to threaten to leave if the club remains under the current ownership. Cristiano Ronaldo next game for Real Madrid is on February 27 of 2018 against Espanyol. You can watch Juventus live stream, Espanyol vs Real Madrid, Athletic Bilbao vs Valencia, Juventus vs Atalanta, Swansea City vs Sheffield Wednesday, and PSG vs Marseille, all matches provided from our live football game pages.